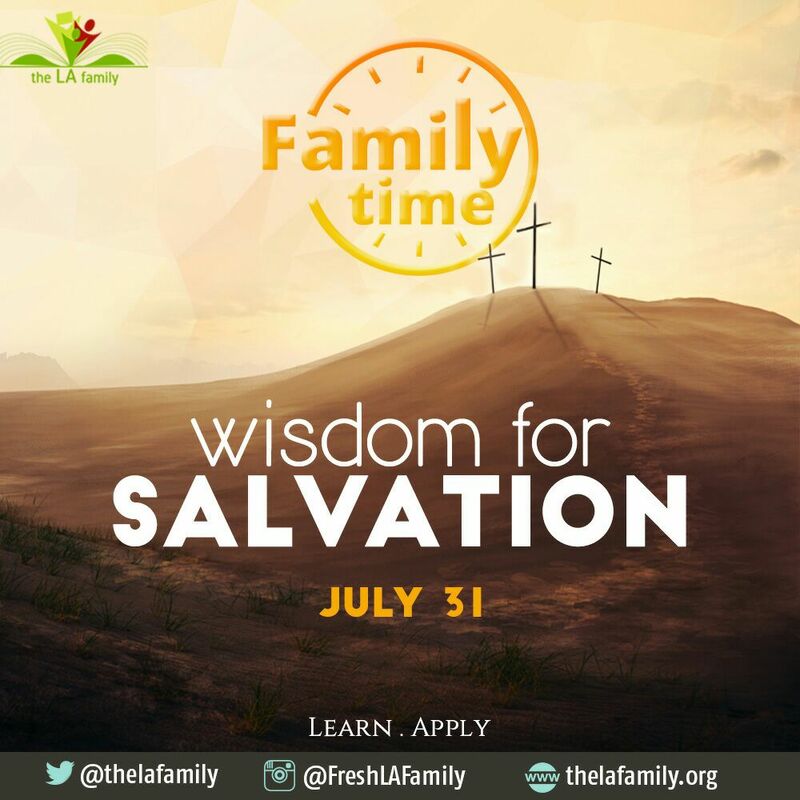 This is usually an exciting time for us as we take hold of who we are as ‘Family’ to connect, converse, pray together, and share with one another the progress of God’s word in our lives. Venue: Whatsapp, Facebook, Twitter, BBM. Date: Sunday July 31, 2016. God has promised to make us wise in the year 2016. It is therefore proper for us to understand the salvation Jesus died on the cross for. 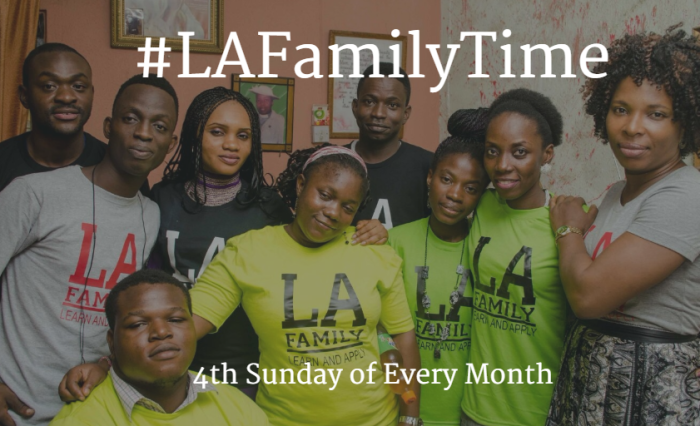 We are looking forward to meeting you at #LAFamilyTime, God bless you!